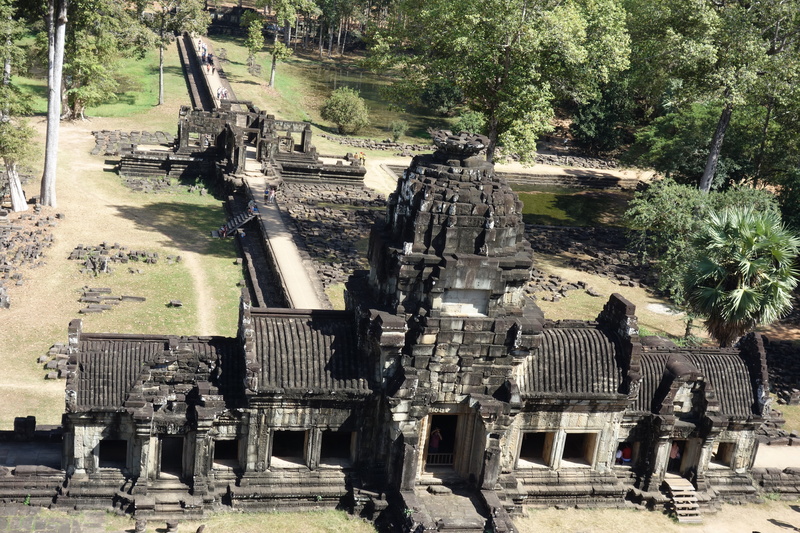 Looking down from Baphuon. By the way, this one is super interesting because it was actually taken apart and then put back – by memory and guessing, block by block. Historians had taken it apart (don’t ask me why), and carefully documented where each individual piece went. Then, the friggin Khmer Rouge took over and destroyed all the notes. So the historians put it back together, without the instructions. So, next time, be grateful for that IKEA instruction booklet.